Tamashii Nations S.H. Figuarts line has jumped into non-Japanese licenses with Marvel, DC and Star Wars, but those aren’t the only ones. On top of video games like Street Fighter and cartoons like the classic Turtles, they also are doing WWF WWE wrestling figures. Now, one thing Mattel has done well over the years in the boys figure space is wrestling, so it’s hard to jump in and convince folks they need a 50 dollar version of superstars they probably already have. That being said, I don’t have many Mattel figs but do dig classic wrestling. I’m a kid of the 80s so of course I was around for Hogan and the rise of the WWF. In my college years, I rode the Attitude Era and watched Stone Cold, The Rock, and Triple H re-invent what wrestling could be. These figures are based on that time, giving us Attitude versions of them along with Kane and Undertaker. Five in all at the moment. We’ve done a massive catch up shoot, showing off all 5 and what they can do. Over 210 images. Read on to check out some additional thoughts and all the glorious pics including a tag match between The Rock and Stone Cold vs Undertaker and Triple H! 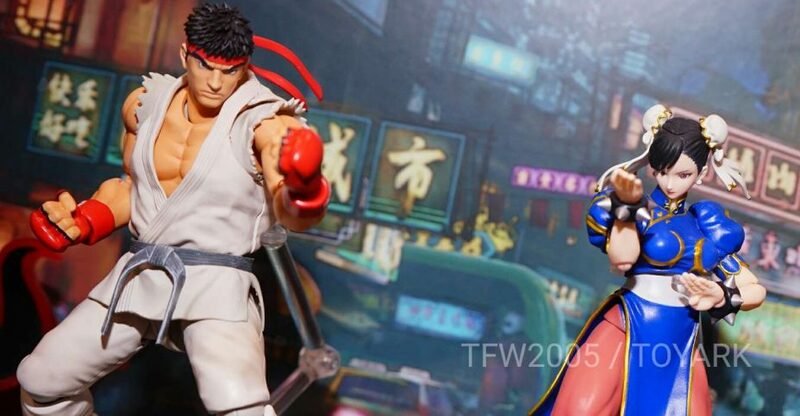 Check out the Street Fighter, Mega Man, Pacific Rim and WWE photos from the Tamashii Nations display at the Bluefin booth from San Diego Comic-Con 2017. Below, check out a list of the items on display. Tamashii Nations World Tour Event Pics! Gipsy Danger – First Yeager prototype. Plus a whole lot more! Read on to check over 225 hd images straight from the event! 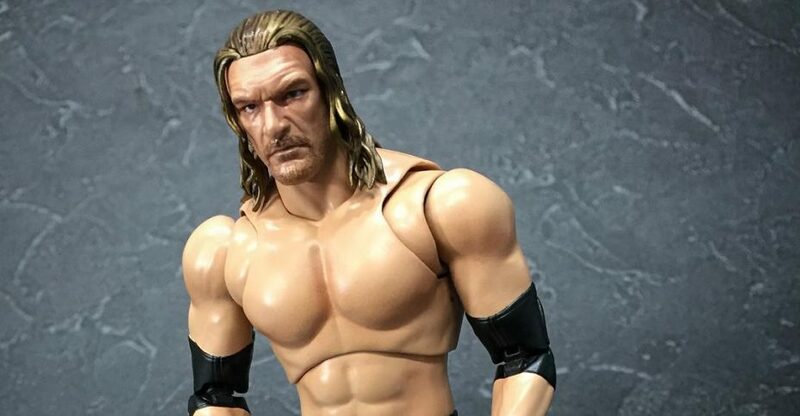 Tamashii Nations has posted the product page for the upcoming WWE Triple H S.H. 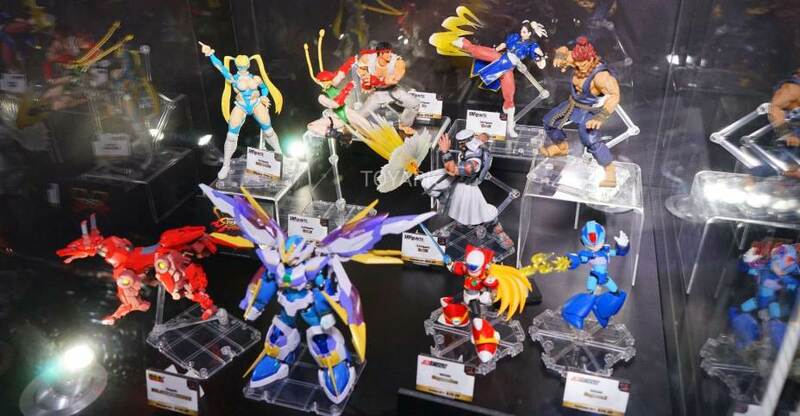 Figuarts has been released by Tamashii Nations. The figure stands at 6.3″ tall. Triple H will include two alternate portraits, multiple interchangeable hands, a mineral water bottle, and his trusty sedge hammer. The articulation style allows for the Triple H figure to perform his signature finishing move, the Pedigree. Pre-orders will go live on Monday, October 31. The Triple H figure is scheduled for release in March 2017. It will be priced at 6,480 Yen (about $62 USD). Check out the photos by reading on. Some new photos of the upcoming WWE Triple H S.H. Figuarts has been released by Tamashii Nations. The figure will include alternate portraits, a water bottle, and a sedge hammer. Pre-orders are not live at this time from Bandai. 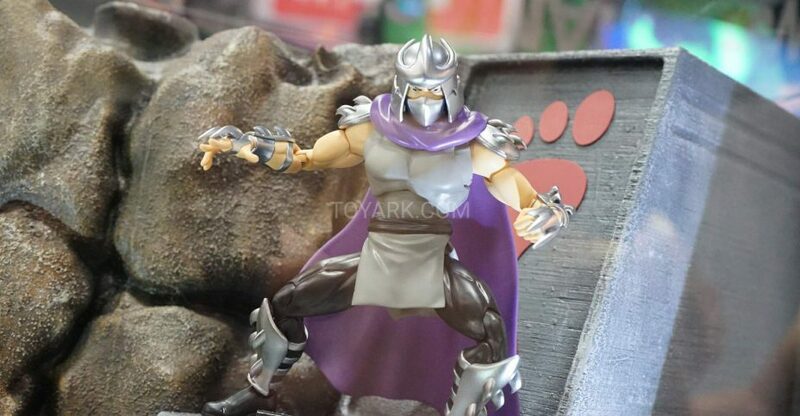 The figure is scheduled for release in March 2017. It will be priced at 6,480 Yen (about $62 USD). Tamashii Nations has shared a new photo of their upcoming S.H. Figuarts WWE Triple H Figure. The photo is of the prototype, so details may change before release. The figure made its debut at San Diego Comic-Con 2016. Hunter joins both The Rock and Stone Cold Steve Austin in the new line of WWE figures, celebrating the Attitude Era. The Triple H figure includes a sledgehammer. No release date or pricing information is available at this time. We’ll have more details when they become available. Click the banner image for the full photo.